What's Better Than a Secure Credit Card for Employee Expenses? A secure credit card offers you one way to manage employee expenses. Certainly, your people will find them easy to use if they need to make work-related purchases when you send them out to do their jobs. On the other hand, credit cards aren’t the right choice for every business. For one thing, your business must qualify for credit. For another, you have to manage more debt. Instead, you might explore some advantages of a secured credit card. A secure credit card isn’t actually a credit card at all. You fund these secure payment cards before they can be used with money from your business account, so it might be more accurate to call them prepaid business cards. According to a review of prepaid business cards on The Balance, the biggest advantage is that your employees will know that they can’t spend more than their daily or total limits, so they are likely to learn how to help you manage expenses better. Once the employee reaches his or her spending limit, merchants will simply decline the card. This means that you don’t have to wait to open up your credit card statements to find any unwelcome surprises. For instance, if you allow your salespeople to charge meals but set a daily limit of $50, these employees are likely to choose moderately priced restaurants or the motel’s complementary buffet instead of the fanciest steak place in town. They will know that they have to stay under their limits of pay out of their own pockets. You can simply use a computer or phone to manage the card via an app. In addition to being able to restrict the amount of spending, you can also limit the kinds of merchants that an employee can use the card at. You have access to immediate reports of all spending and all declines. If your business doesn’t qualify for business credit, you don’t have to worry. You don’t need fantastic credit to obtain a secured credit card because they don’t actually offer credit. Some companies still have employees pay for purchases out of their own pocket and wait for reimbursement. If you give your own employees a handy purchase card in their own name, they’ll probably be pleased by the convenience of not having to fill out forms and wait to get paid back. It’s just up to you to make sure that each of your workers understands how they may use the card and what the limits will be. You certainly won’t want to take risks with your company’s money. 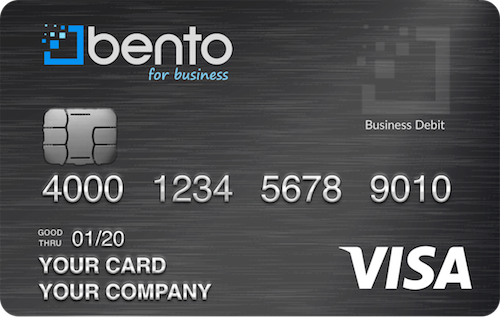 When you make payments, you’ll do better if you work with a top-reviewed business card provider like Bento for Business and their business Visa debit cards. 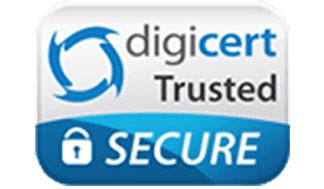 This company uses high-tech SSL encryption to keep your money safe and the security of knowing your funds are also backed by the FDIC. To get started, you are welcome to begin your free trial today. If you have any more questions, you are also invited to call Bento directly at 866.220.8455. Help yourself and your employees with the smart business solution for managing employee purchases.